The African Union for Housing Finance (AUHF) was established as a member-based body of housing lenders in 1984. Today, the AUHF comprises of 61 members from 17 countries across the continent. Members include commercial and mortgage banks, building societies, microfinance banks/institutions, housing development corporations, and other institutions involved in the mobilisation of funds for shelter and housing. 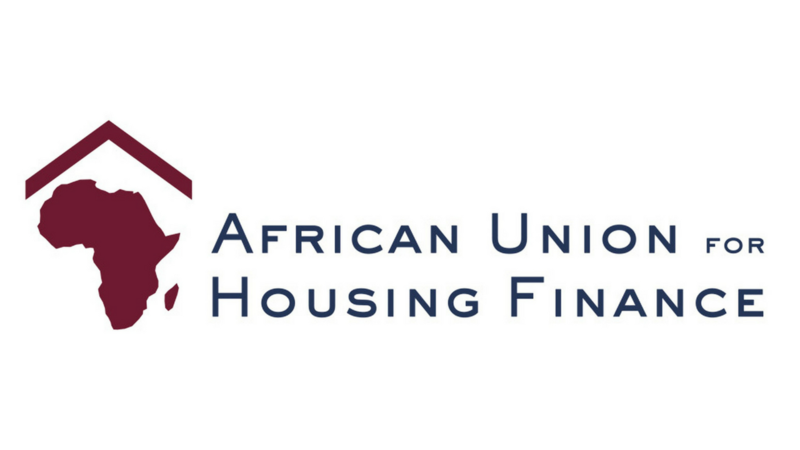 As an industry body, the AUHF promotes the development of effective housing finance markets, and delivery of affordable housing across Africa, working in the interests of both the members and the industry as a whole. The Centre for Affordable Housing Finance in Africa (CAHF) is the Secretariat to the AUHF. Vision: An enabled and productive housing finance sector across Africa where governments and the private sector work together to develop and maintain efficient and effective housing markets and access to adequate and affordable housing for all. Mission: To support its members in realising their vision, through networking and deal facilitation, information collection and dissemination, lobbying and advocacy, and capacity building and training. Background: The AUHF was established as a non-profit trade association and an affiliate of the International Union for Housing Finance (IUHF) in June 1984. It was an umbrella organisation for housing finance institutions with 11 members in seven countries and was known as the African Union of Housing Finance Institutions. The association maintained links with, and was supported by international bodies such as the United Nations, United Nations Development Programme (UNDP), the World Bank, the Development Bank of Southern Africa, the Organisation of African Unity (OAU) and, the United States Agency for International Development (USAID). The political and social changes in South Africa in the early 1990’s enabled the extension of the association to South Africa and, the South African Association of Mortgage Lenders was approved for membership with the AUHF. The membership of the association grew, and by 1994, it had 28 member institutions in 16 countries. By 1996, the AUHF was one of the longest standing regional groupings in Africa and it continued to promote housing finance in Africa throughout the various upheavals and changes that took place on the continent. Since 2005, the AUHF has been registered as a non-profit company in South Africa, incorporated under section 21 of the Companies Act, 61 of 1973. In July 2012, the association adopted a Memorandum of Incorporation (MOI) based on the Companies Act 71 of 2008. The MOI was adopted by special resolution passed on 6 July 2012, substituting the existing memorandum and articles of association of the company. 4. Capacity Building and Training: Enabling members to respond to the challenges and opportunities within the context of their businesses; supporting better engagement between the public & private sectors.